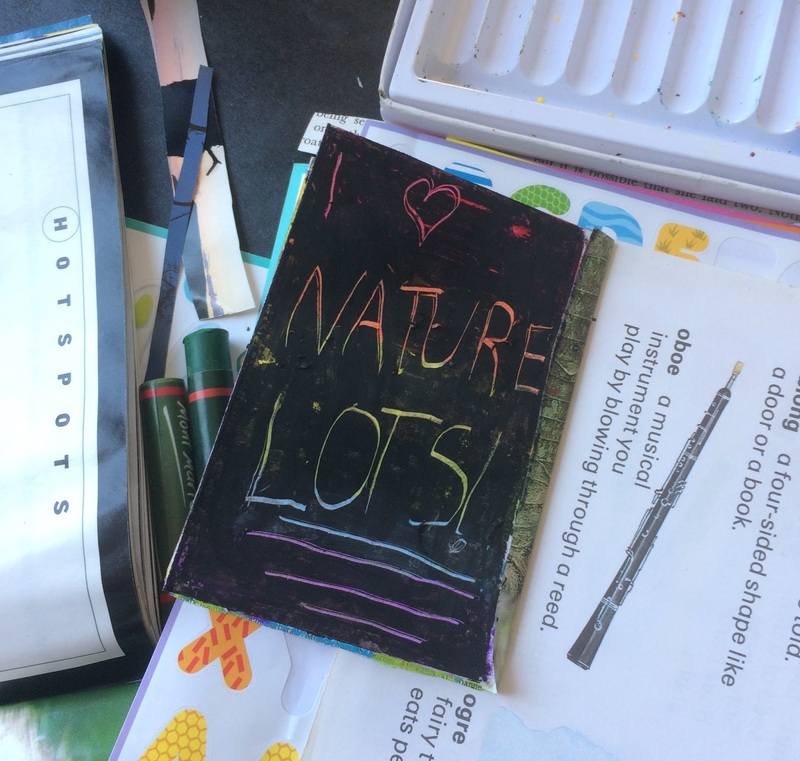 Creating a Nature Journal is a great way to deepen your nature connection. 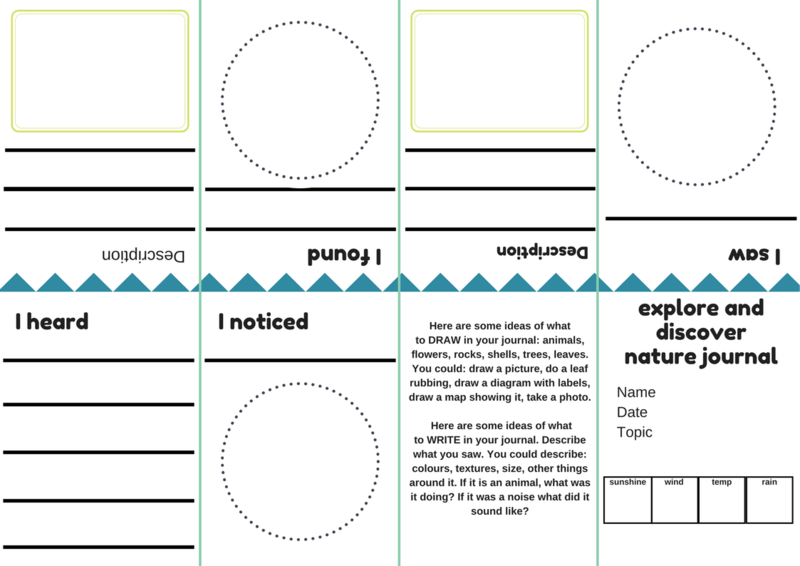 Whether you want to record what you see on a nature walk, celebrate nature’s beauty, or keep track of what you’ve learned about nature – there’s a nature journal format to suit your purpose. If you look on Pinterest at other people’s Nature Journals you might think Nature Journals are just for artists, but your observations are unique and can be conveyed in words as well as pictures. 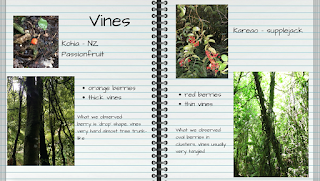 A Nature Diary is a good way to get started writing a Nature Journal. That’s how I began. 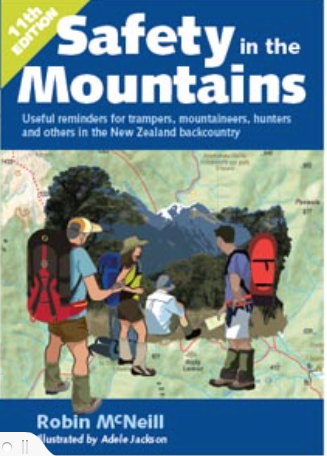 I wrote down places I went walking or tramping, and listed things I saw that interested me. After awhile, I began adding in more details, names of plants I was learning from other people or facts I’d found in reference books. You can use any kind of notebook or exercise book for this. 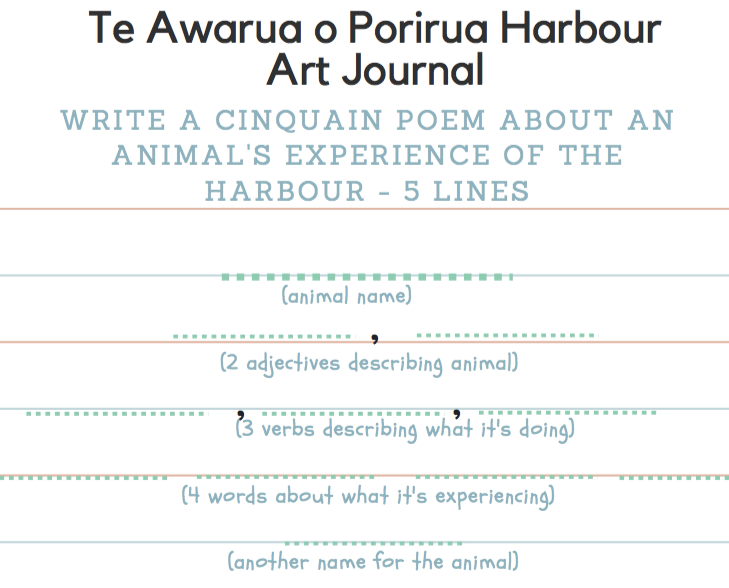 I prefer books with lines or squares as I find it hard to keep my writing tidy! But if you like to draw a lot of pictures you might prefer blank pages. 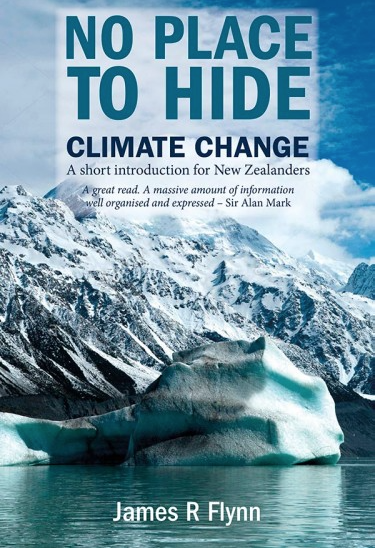 Some books alternate lined and blank pages and these are ideal for many people. It’s important to write down the date and the place that you see something, but other details such as time of day, weather and tides can be important too. 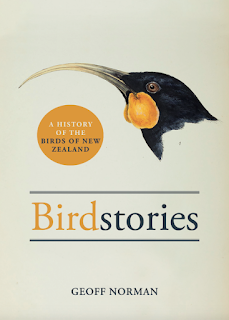 Now I can go back through my diaries and find facts, like when I first heard a shining cuckoo each spring (the earliest was 26 September) or where and when a good place to see kohekohe flowering might be. I also write down things that surprised me: seeing 40 oyster catchers one morning in a field, finding a dead gannet on the beach, seeing a nocturnal gecko on the outside of a window in the early morning. 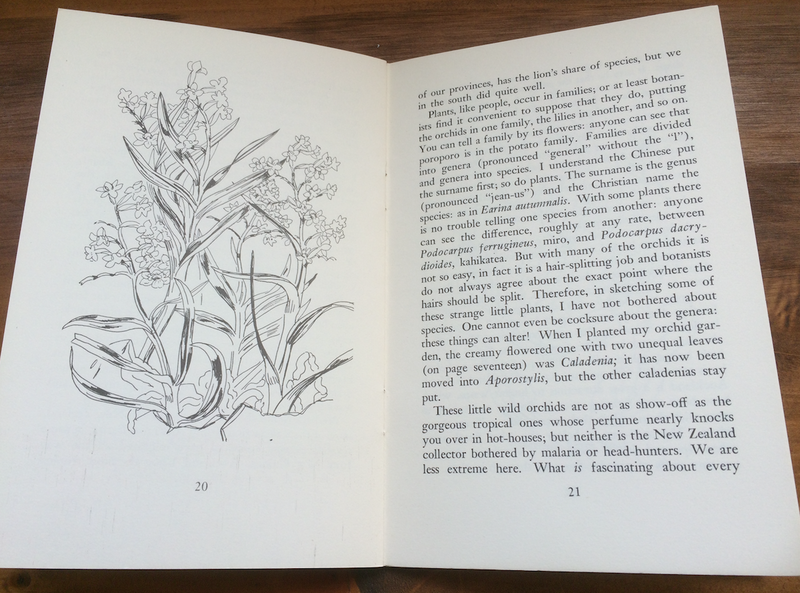 Spending time drawing plants or animals (although these often move too fast for my pencil) can help me pay attention to details or features. This might help me identify the plant more easily next time or can help me compare it with other plants that I know well. Photography is good too. Often you will see something in the photo that you might not have spotted at the time. 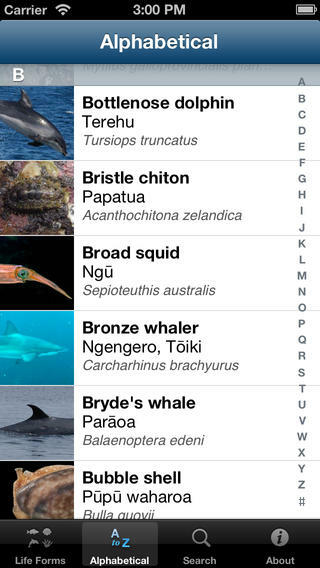 For example, the blue on a female copper butterfly wing or the greenish feet of a reef heron. 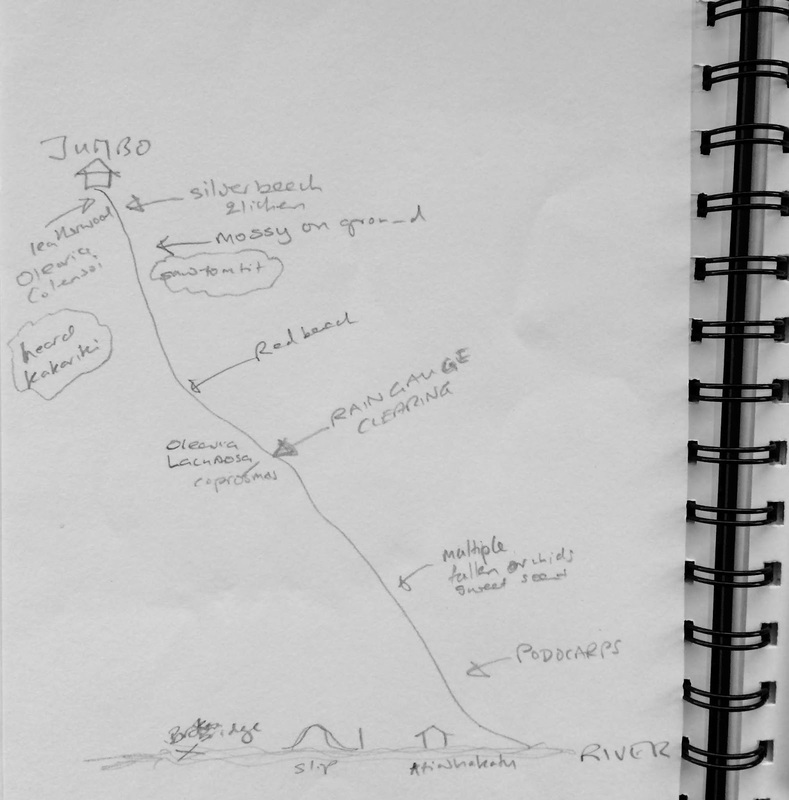 I like to use diagrams, which can often convey ideas better than words. Sometimes I add in a pressed leaf or flower that I’ve collected from my garden. If you want to do this make sure you have permission to take the leaf or flower and don’t take too many. 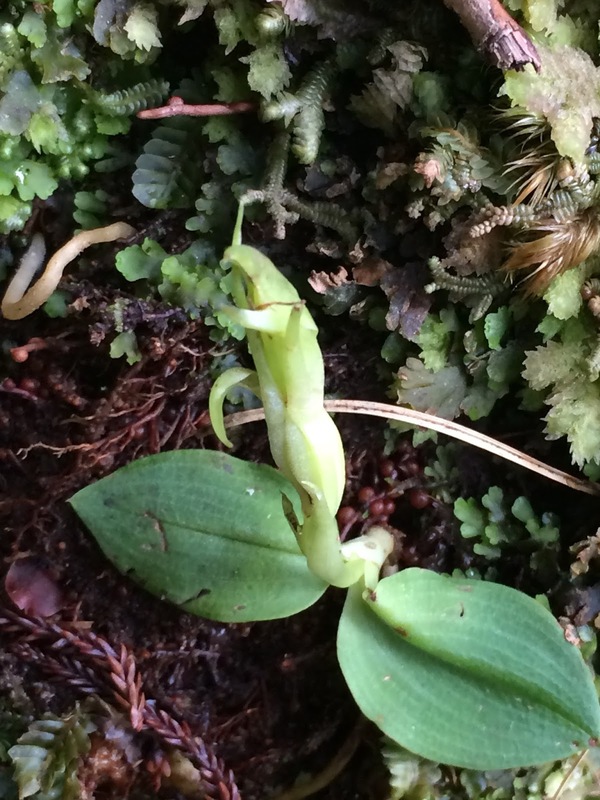 Read here for tips and ethics of collecting plants. 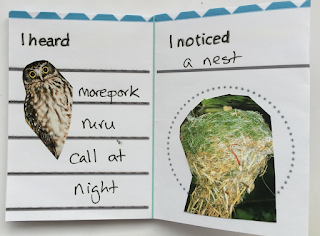 I usually write in my journal after I return home. 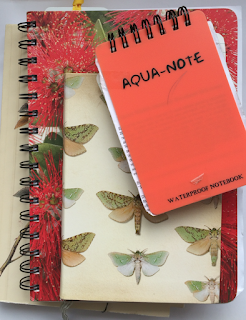 I don’t want to risk getting my Nature Journal wet and usually I’m not too keen on carrying something heavy. 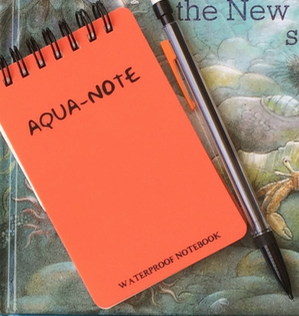 But sometimes I need to record details when I see them, so I take a waterproof notebook with me to record what I see and hear. 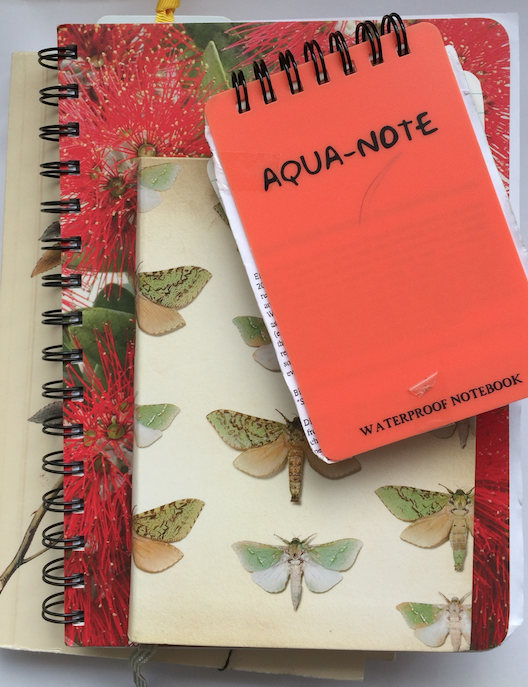 These notebooks are quite expensive so I think they are best for recording scientific data such as a recording a bird translocation or lizard monitoring. 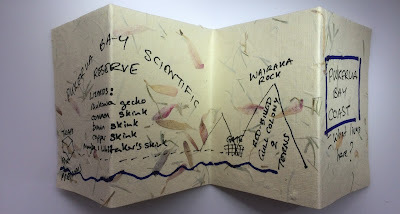 My Nature Journal reminds me of where I’ve been and what I’ve seen, as well as a few interesting records. 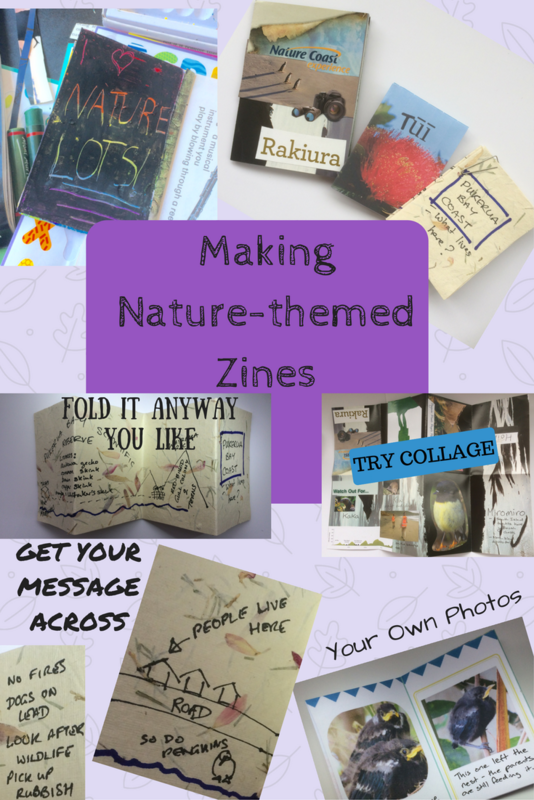 I pick some of them to write about in this blog, click on the Nature Journal tab above to see these. If you like the idea of an online Nature Journal, consider using iNaturalistNZ (previously called called Nature Watch NZ). This is a great place to post photos and get help with identification, your profile also has a Journal section which can link to your online photo observations. 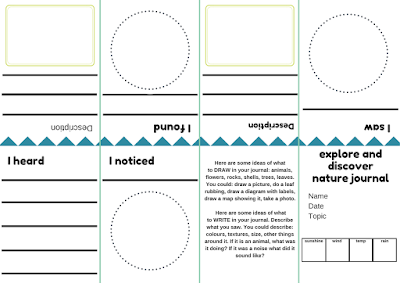 There are no right or wrong way to create a Nature Journal. 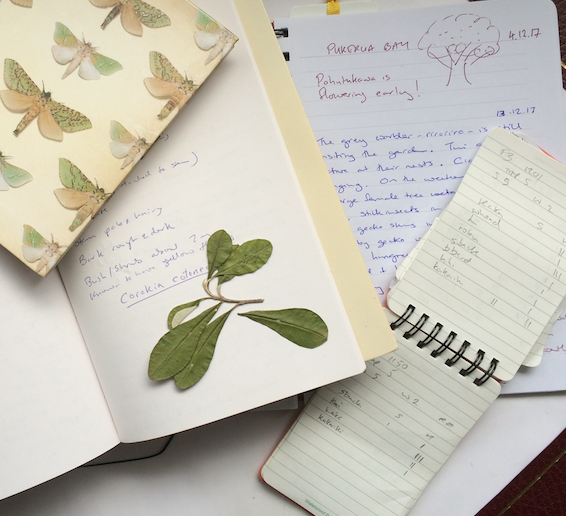 What will you include in your Nature Journal? Have fun! Find out about Nature Journal workshops or activities at your local Botanical Garden (I’ve linked to the events page of Auckland Botanic Gardens as an example). 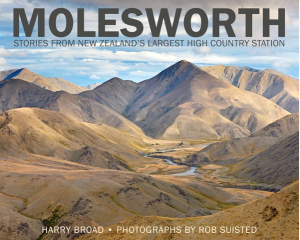 I’m an award-winning author of factual books about New Zealand nature. Before I became an author, I was a teacher, an editor and a publisher. 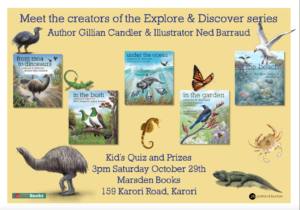 I’m passionate about helping kids understand New Zealand’s unique biodiversity. My presentations combine enthusiasm and knowledge – about books and the writing process. I’ve just seen “No Ordinary Sheila“, the documentary about the wonderful and not at all ordinary Sheila Natusch. 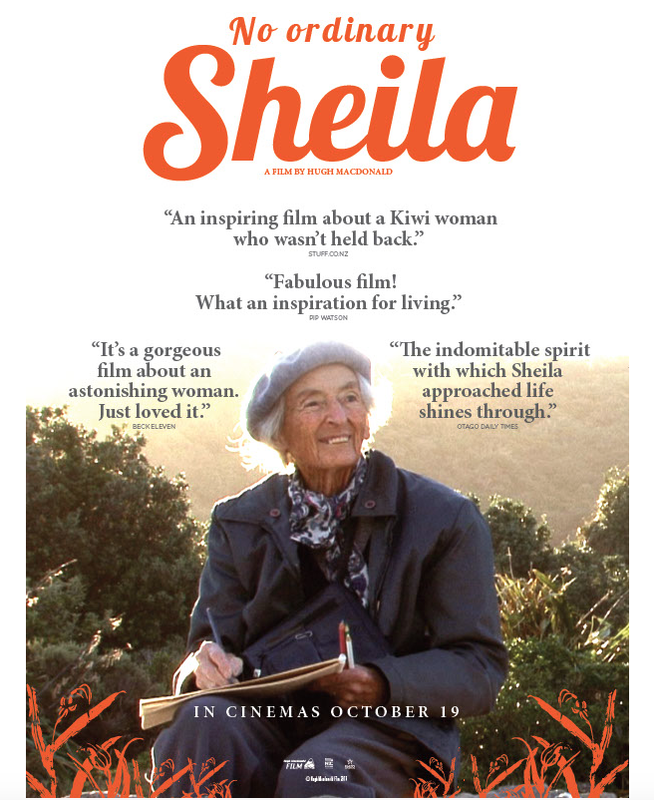 This documentary was a clever blend of recent interviews and family photos, integrated with archival films from the relevant times in her life of, for example, of childhood on Rakiura / Stewart Island, high school at Invercargill, tertiary studies in Dunedin and work and marriage in Wellington. The documentary makers also used occasional current footage where it conveyed atmosphere, for example, of pupils at Invercargill Girl’s High School. Some interviews show her on a couch in a friend’s living room or at the kitchen table talking to another writer or tramper, and it felt that we were present in the room listening to an elderly relative talk about their extraordinary life. 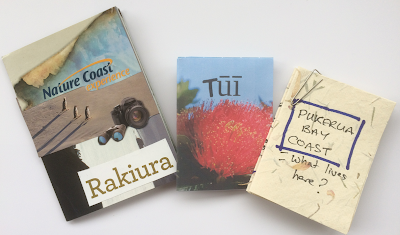 As a fan of Rakiura / Stewart Island I particularly enjoyed the current and past footage of the island, along with the description of what it was like to grow up there. I won’t spoil the experience of watching the documentary by repeating here the friendships, history and events that are covered. But watch the trailer here if you want to know more. The overwhelming impression was of a life well lived, of a resilient and determined individual, who got on with life and had no regrets. 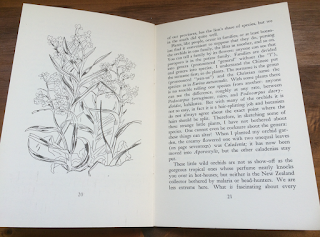 I would love to have heard her talk more about her interest in plants and about writing, illustrating and her experiences in the publishing industry, but that reflects my own bias, and I think for the general viewer this aspect would have been covered adequately. 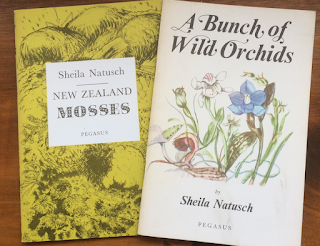 Inspired, I’ve pulled out a couple of booklets that I have of hers: New Zealand Mosses, 1969 and A Bunch of Wild Orchids, 1968. Reading these again, I’m impressed by her fresh chatty style, which would have been unusual for the time, but is similar to the tone taken in social media today. 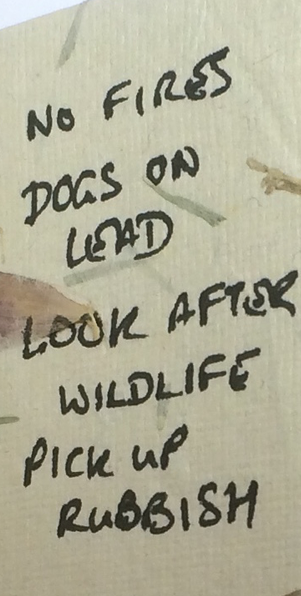 A Sheila of today would be blogging about what she’d seen or posting her sketches on Instagram perhaps. On recent visits to Rakiura, I’ve sought out the orchids along the village lane ways and beside the tramping tracks, often hiding bashfully, but, I like to think, waiting to be found and admired. 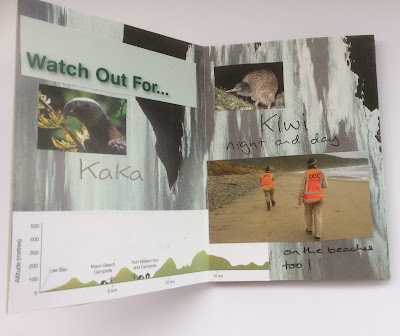 For my other blogposts about Rakiura / Stewart Island see my nature blog explorediscovernature.blogspot.co.nz and search on Stewart Island. 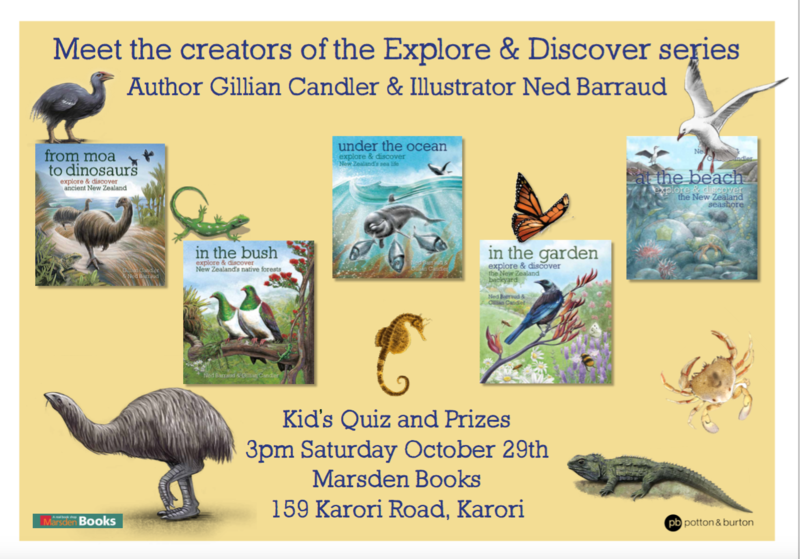 Children often ask about the illustration process for the ‘explore and discover books’. 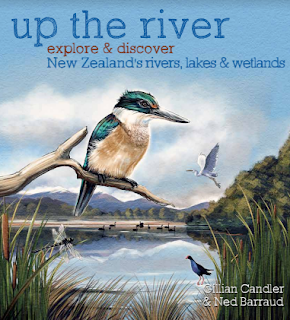 Ned Barraud the illustrator is interviewed on The Sapling about how he fits illustrating children’s books in with his day job, about the process and about some of his favourite illustrators and children’s books. 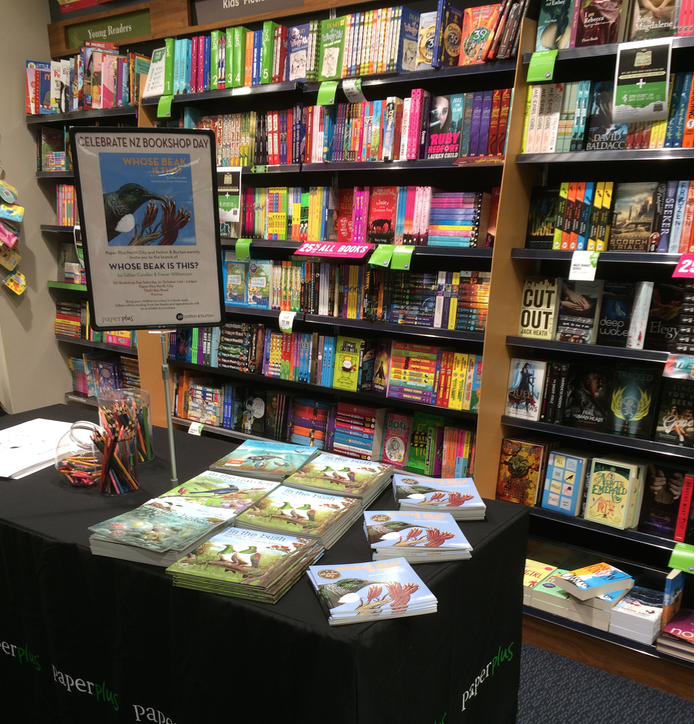 The moment I picked up Keeping Your Children Safe Online, I knew this book was going to be flying off the bookshop shelves. I immediately thought of who’d needed it 6 months ago and who I’d be recommending it to straightaway. John Parsons takes a very practical approach to his topic, using short real-life examples to illustrate situations such as cyber-bullying or of young people tricked into sending inappropriate images. He shows how these situations can be resolved and discusses who to turn to for help. What I particularly like is that Keeping Your Children Safe Online takes “good parenting” principles and applies these to the issues of cyber safety. Reading this book is a reminder of what’s really important in parent-child relationships, with parenting tips that could be applied in any situation. The book does a pretty good job as a parenting refresher course! I’d recommend this book to parents of children from 0-18 years old. If your child is at the younger end, then there are great tips about how to talk about values that will stand you and your child in good stead as they traverse the technology landscape. For parents of teens, there are lots of practical ideas here of how to talk to your teens about the way they use social media, as well as reminders of your children’s rights and what the law says about cyber-bullying. 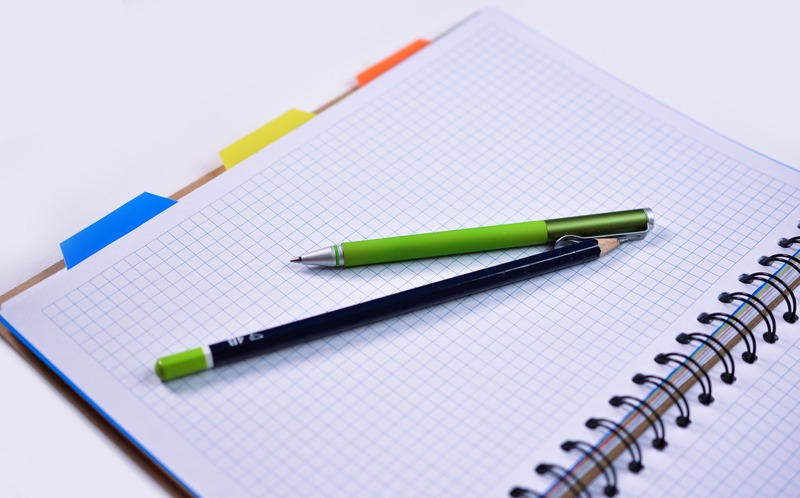 If your teen has already got caught up in a difficult situation, you’ll find the case studies useful as well as the agencies listed in the back. After reading this book, I think some parents will be wondering about their own degree of cyber safety. That might be just the conversation starter you need to discuss cyber safety with your teen! 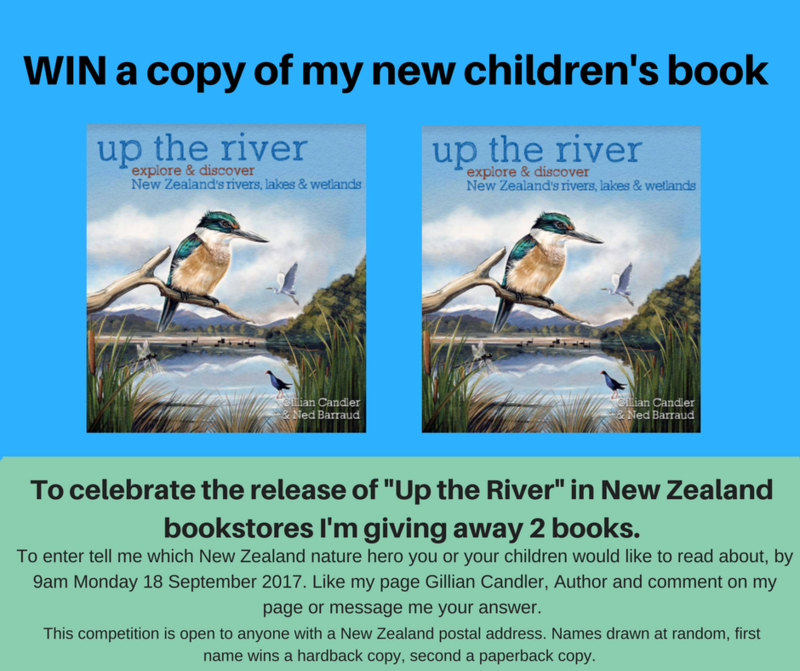 To enter this competition go to https://www.facebook.com/GillianCandlerAuthor/ and enter before 9am Monday 18 September 2017. Note you need to have a New Zealand postal address to enter. Up the River: explore and discover New Zealand’s rivers, lakes and wetlands is the latest addition to the ‘explore and discover’ books, following on from books about the seashore, ocean, garden, and forest habitats. 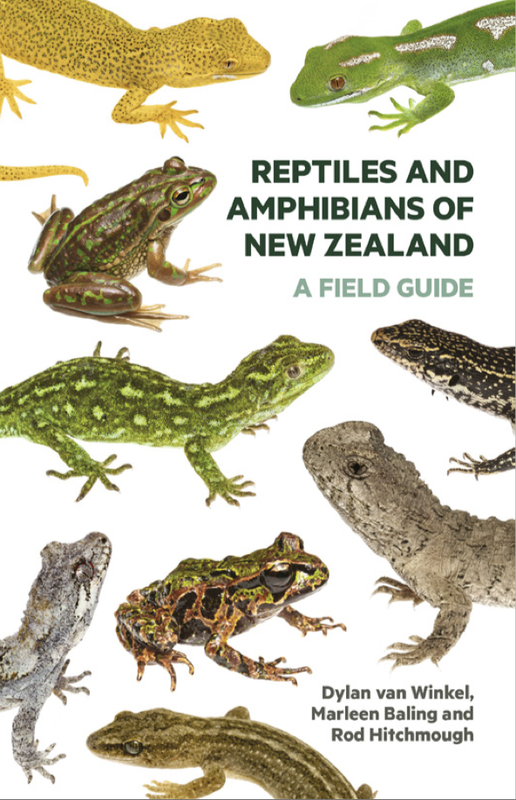 Six years ago I would have wondered how many people might be interested enough in our freshwater habitats to buy a book about them for their children or grandchildren, but now as we release this book, there is broad public interest. There’s been much publicity about whether our rivers are swimmable, about polluted drinking water and about the loss of rivers to irrigation schemes. 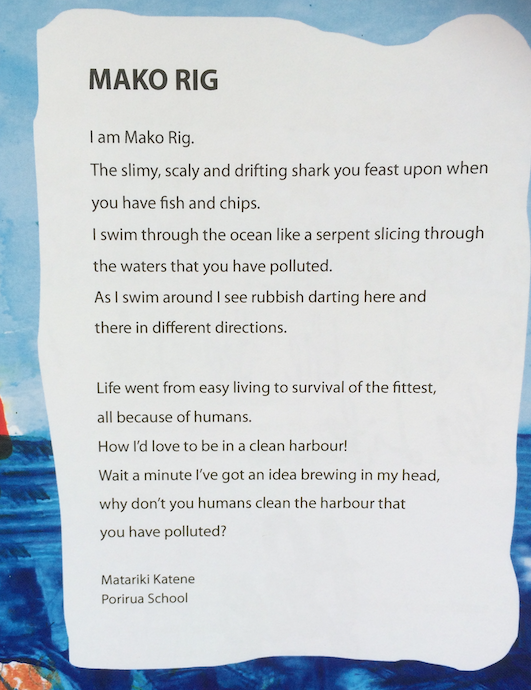 As a nation we’ve woken up to the facts – that clean freshwater matters and that our freshwater is not as clean as we would like it to be. All of these events and debates were going on while I was researching and writing Up the River. 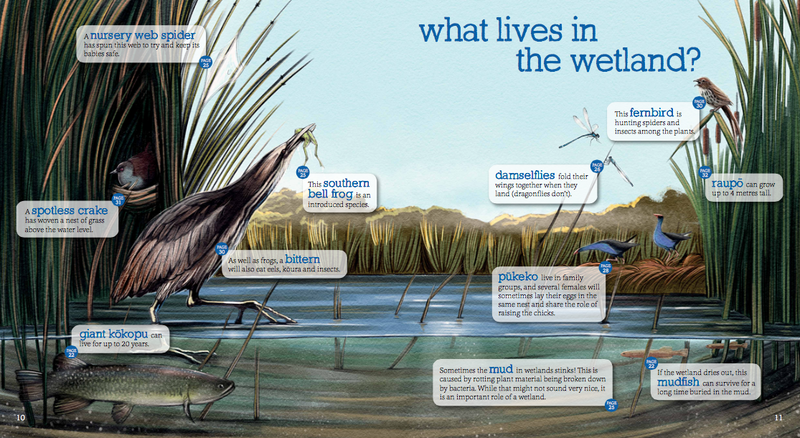 The more I researched, the more I realised that the state of our freshwater was worse than I had imagined. I had to work hard to resist the temptation to make the dire findings and debates centre stage in the book. Why? 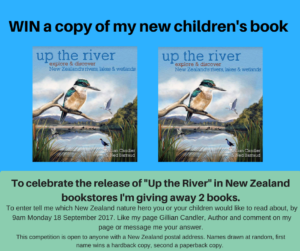 Partly because I want the book to endure for ten years or more, and I hope as a society we’ll act quickly now to make a difference to water quality. But mainly, because a focus on negative facts can make children feel powerless. After all this is a mess not of their making. 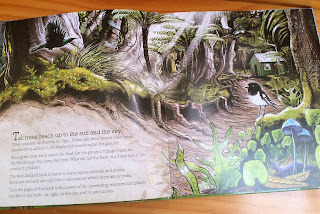 Pages 20-21 what lives in the wetland? 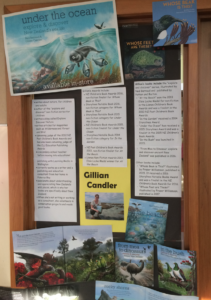 Instead I wanted to show children (and the adults who read the book with them) the diverse and intriguing wildlife that healthy freshwater systems support. In Up the River the reader discovers animals that are little known because they are hidden or out of sight, or rare because of habitat loss. Children learn about the amazing journeys that fish make, and the extraordinary life-cycles of aquatic insects. In this way, they get to understand how special these habitats are. The rivers needed to be recognisable to children who may not get to experience mountain streams or braided rivers, so Ned’s illustrations show a modified habitat on pages 10-13. I hope that this leads to discussion about what impact the farms and towns along the river will have on the animals and plants that live there. The text about lakes on pages 16-17 also raises the issue of the particular problems that affect lakes. 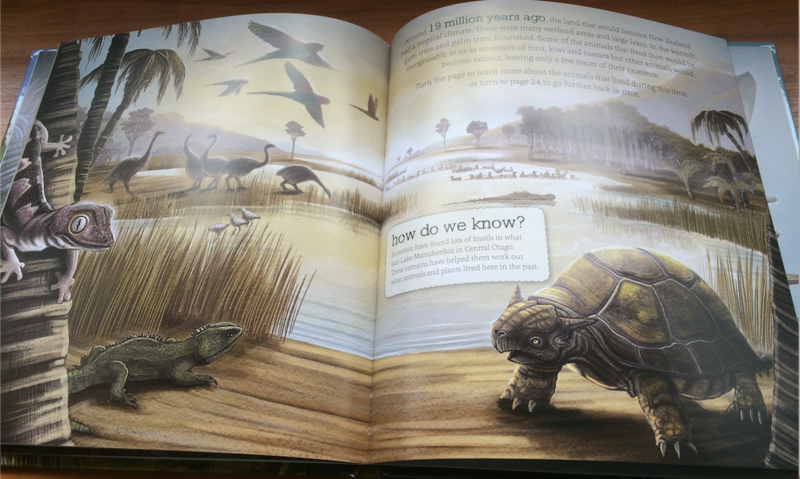 For older children, there is discussion at the end of the book about algal blooms and freshwater problems. Here, the “What can you do?” text empowers children (and adults) to take action for freshwater. You might be wondering just how bad is the state of our freshwater really. 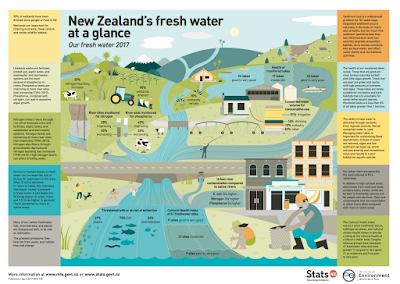 Click on this image for a simple summary of facts from the Ministry of the Environment and down load ‘New Zealand’s fresh water at a glance 2017’. 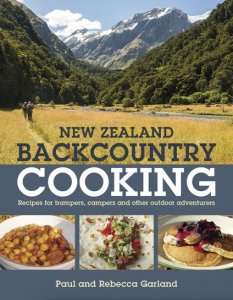 Bought the book and want tips and ideas to follow up? As I write, I note down interesting websites or activities and compile these to share with parents and teachers. 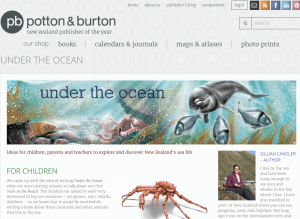 See “ideas for children, parents and educators to explore and discover New Zealand’s rivers, lakes and wetlands” on the Potton & Burton website. 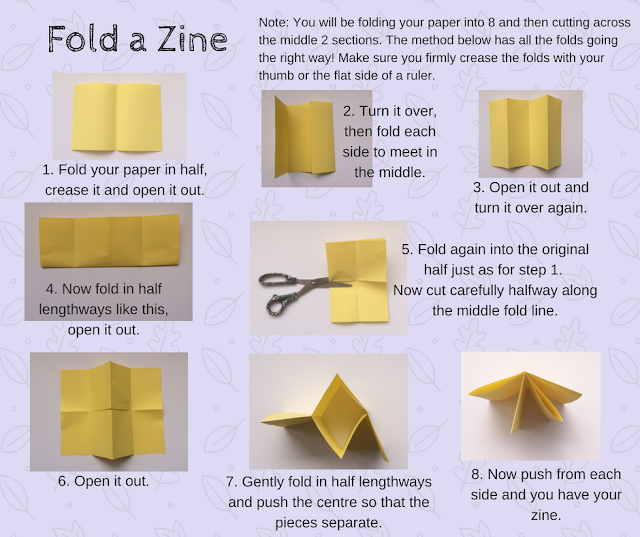 I also continue to update my Pinterest board with links to websites, documents, and tips for craft and science activities. 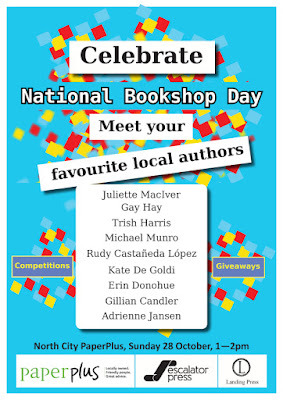 To read the full interview with me and with the other non-fiction finalists click here. 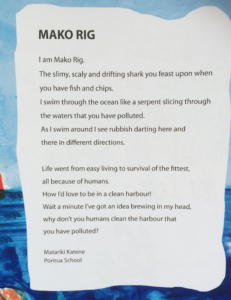 I’ve decided to put a couple of my answers up on the blog, as these respond to frequently asked questions from both school children and adults. 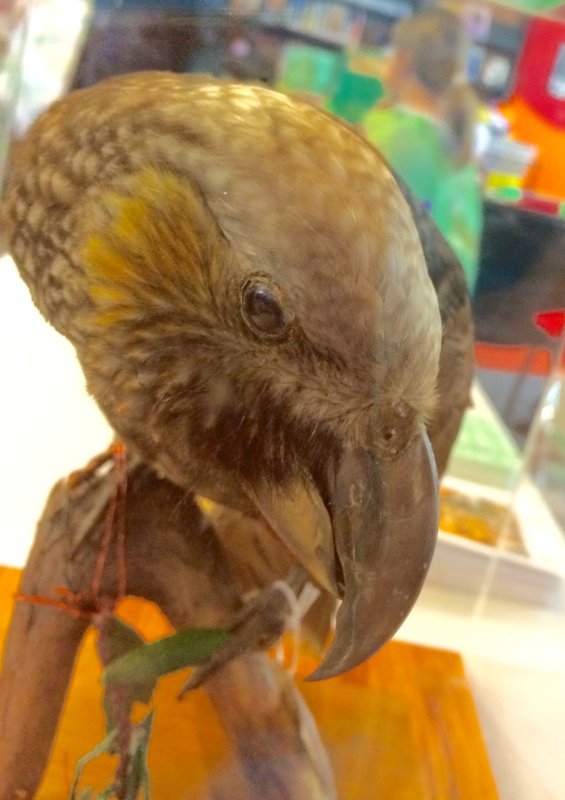 It took a year to create From Moa to Dinosaurs, once the concept had been agreed on. Ned Barraud (the illustrator) and I had discussed the idea of depicting extinct or relict species a few years earlier, but we were busy on another book and it took awhile to figure out how this idea fitted with our ‘explore and discover’ series. I had to do a lot of research before I wrote up the concept and even more before I started writing. 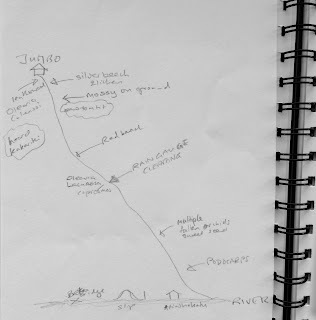 I ran the first draft past a scientist, and he also looked at the rough illustrations and the ‘final’ text and illustrations. 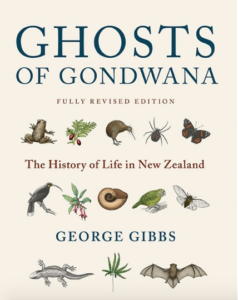 The hardest part about writing a book like this is that much of the science is still developing, for example, at the time I started researching, articles described a small mammal (not a bat) among the fossils at Lake Manuherikia. 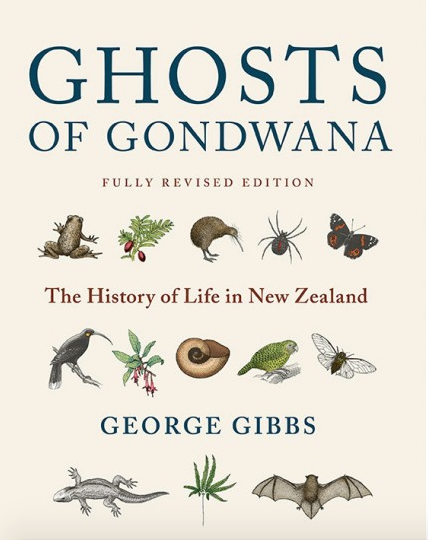 This was exciting as New Zealand had no history of native land mammals other than bats. 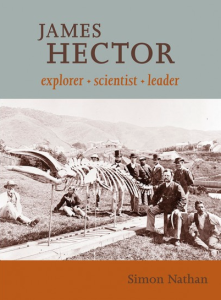 Ned got as far as trying to illustrate this mammal when our expert told me there was now doubt around the mammal fossil! So I had to make the decision not to depict it. 4. 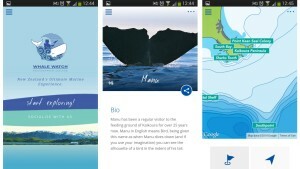 How involved were you with the images/illustrations/photos? I’m very involved in the illustration process. 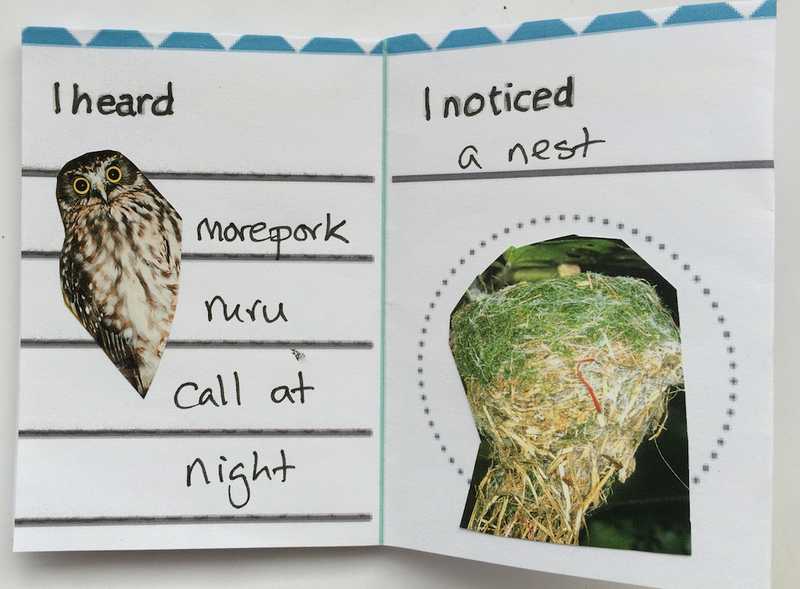 I gave Ned a brief which described what animals needed to be illustrated. I also told him what I knew about these animals and some clues scientists have uncovered about the environment the animals lived in. Ned is a real master of composition and rises to the challenge of, for example, depicting a tiny gecko in the same illustration as a large crocodilian. We have a bit of back and forth as he refines the pictures and comes back with suggestions. Sometimes I alter bits of the text to better fit the final illustrations. 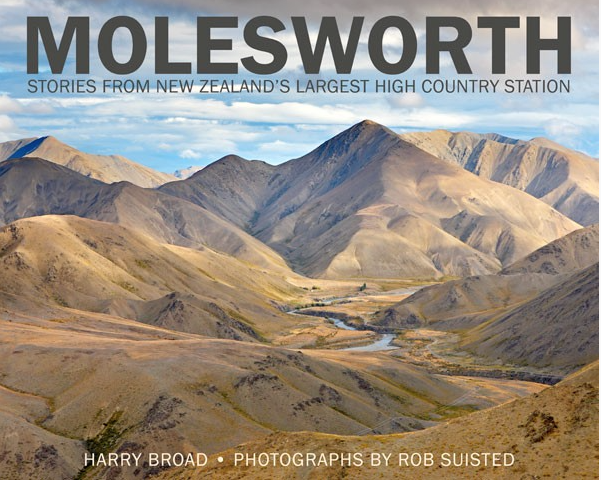 This was a great project to work on together, as Ned could use his imagination to conjure up what Ancient New Zealand might have looked like. 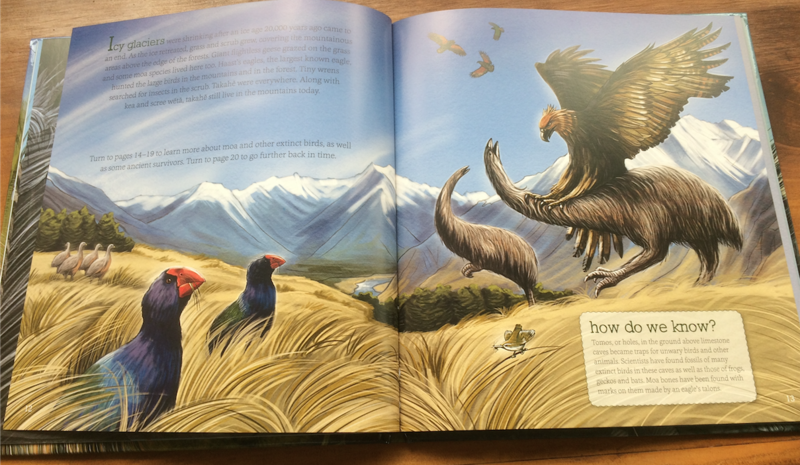 Knowing about the likely interaction between animals enabled him to put some drama into the illustrations too. Please read the full interview on The Sapling. 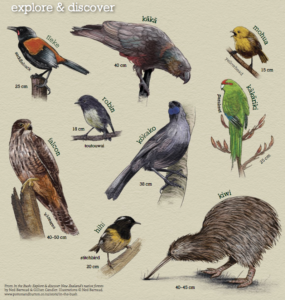 With the first print-run of “In the Bush: explore and discover New Zealand’s native forests” came a detachable forest bird ID card in the inside back cover. This card won’t be included in subsequent print-runs. Instead it’s available to download from my publisher’s website or through this blog post. 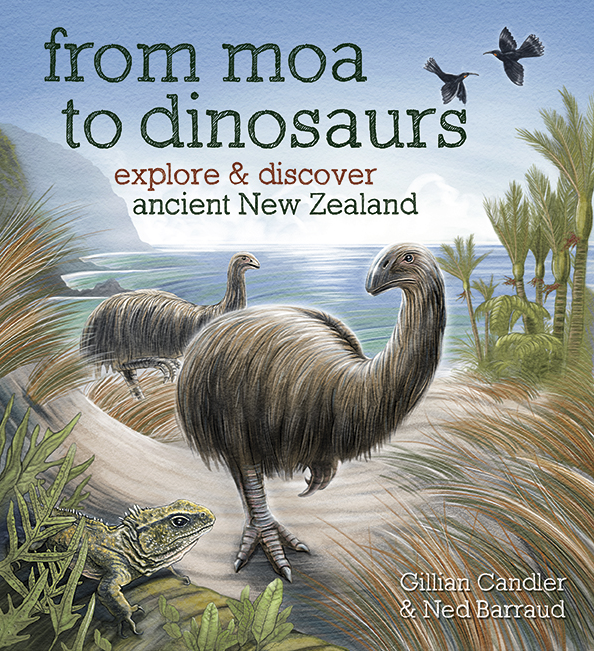 I’m delighted to announce that “From Moa to Dinosaurs: explore and discover ancient New Zealand” is a finalist in the New Zealand Book Awards for Children and Young Adults 2017. 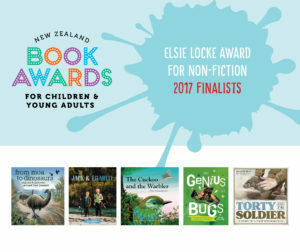 Here’s the link to the complete list of finalist books and a great resource for parents and grandparents wanting to find suitable New Zealand books for children and young adults. The awards are announced on 14 August 2017. 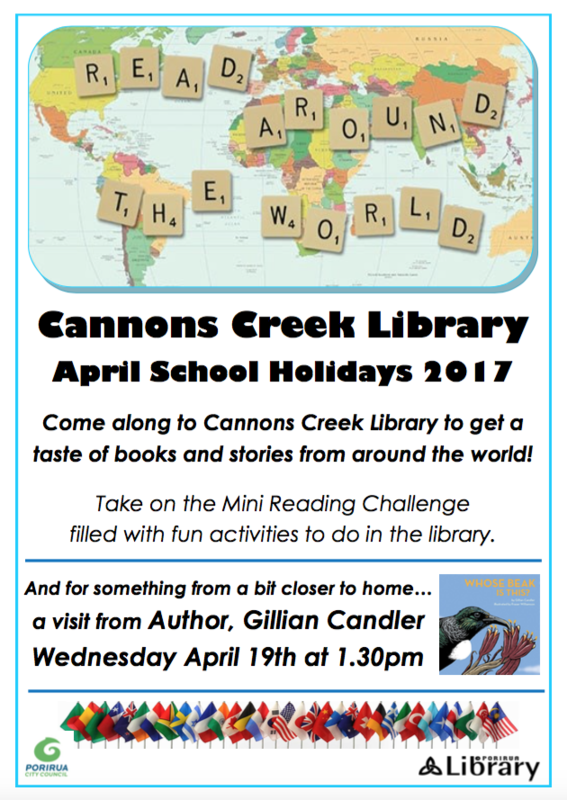 Meanwhile schools can get involved in the Reading Challenge and look forward to some author and illustrator events. Follow this link to read an article I’ve written on the state of children’s non-fiction. I argue that there must be a better name for these splendid books than ‘non-fiction’ and that we need more good quality non-fiction titles for children with New Zealand content. 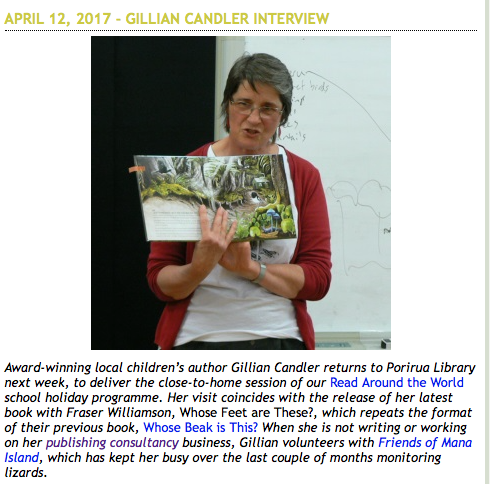 Gillian Candler writes about children’s non-fiction in New Zealand. 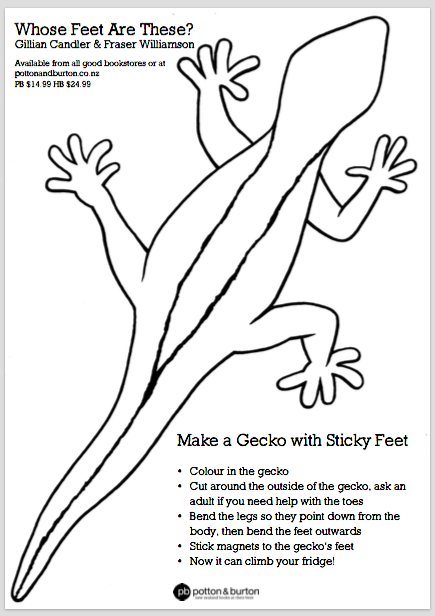 Did you know that geckos have ‘sticky’ feet? They can even walk upside down on ceilings or up a pane of glass! 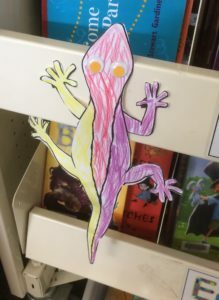 Children at Porirua, Cannons Creek and Whitby Libraries had a go at making their own geckos with sticky feet yesterday as part of my author tour. 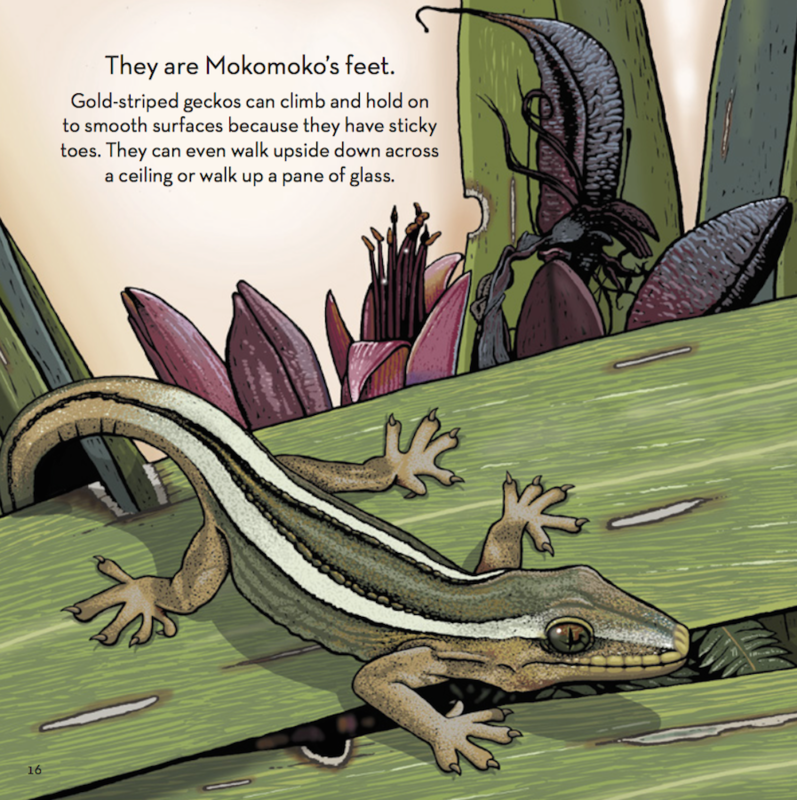 Our model was the gold-striped gecko in “Whose Feet are These?” illustrated by Fraser Williamson. 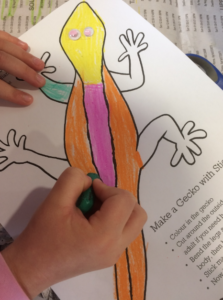 Fraser also created a colour-in gecko to fit on A4 paper. It didn’t take long for the children to discover that the geckos could climb the library shelves. 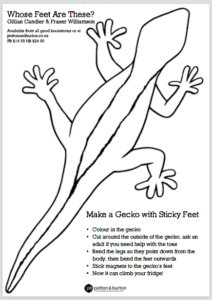 You can make your own gecko, using this free A4 download. All you need are colouring pens, scissors and stick-on magnets, googly eyes are optional. To learn a bit more about geckos and other lizards in New Zealand, see “Geckos and Skinks – what’s the difference”. Some children also made origami Beaky Book Corners. You can find the instructions for these here. 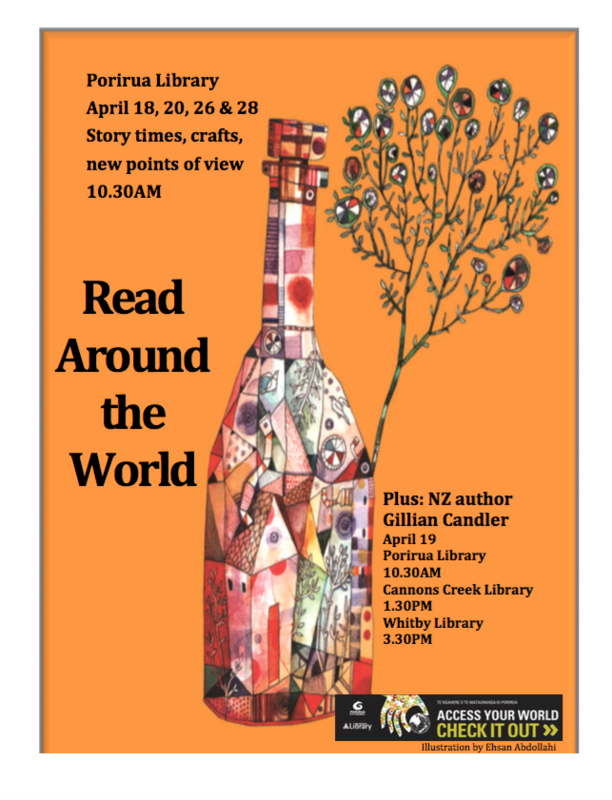 Here’s an interview I gave to Bee Trudgeon of Porirua Library, ahead of the school holiday sessions I’ll be running next week Wednesday 19 April. I love her questions, especially the one about what animal I’d like to be if I had chance! 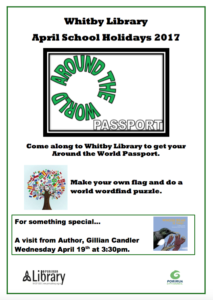 What you need to know: it’s free! 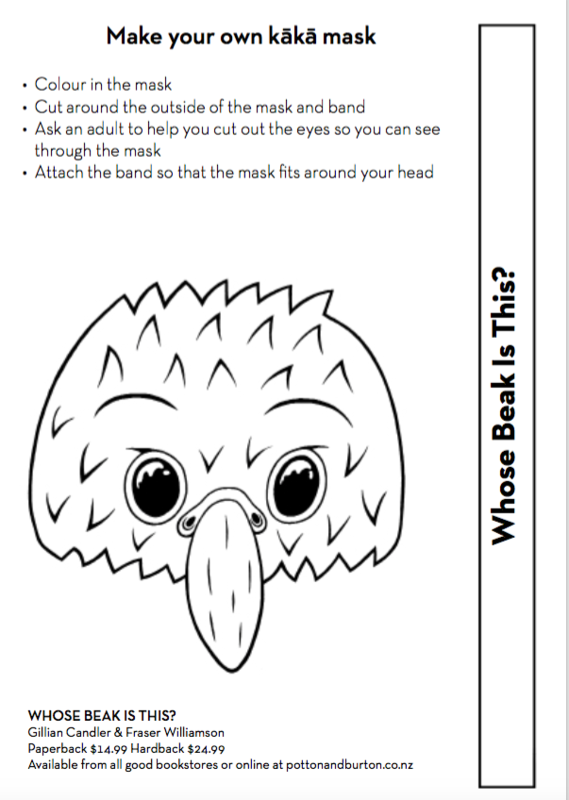 Bring your children or grandchildren, free bird mask to colour in and make. My favourite place – the New Zealand bush – is the topic of my latest book. 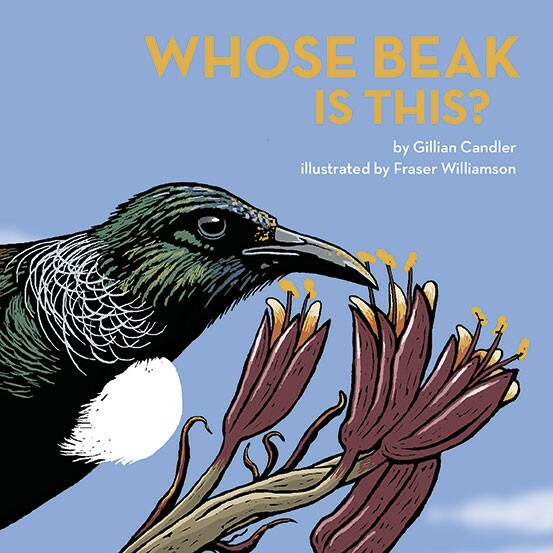 It’s a book for children, informed by many walks in the bush with botanists, bird lovers, and those steeped in bush lore. 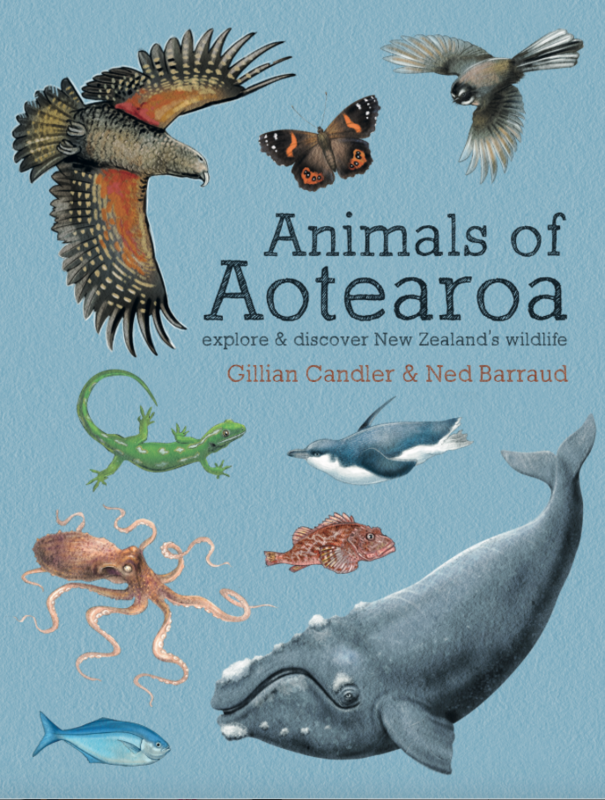 Many of the plants and animals featured are those I’ve discovered as I walk by myself, with other trampers or with children. 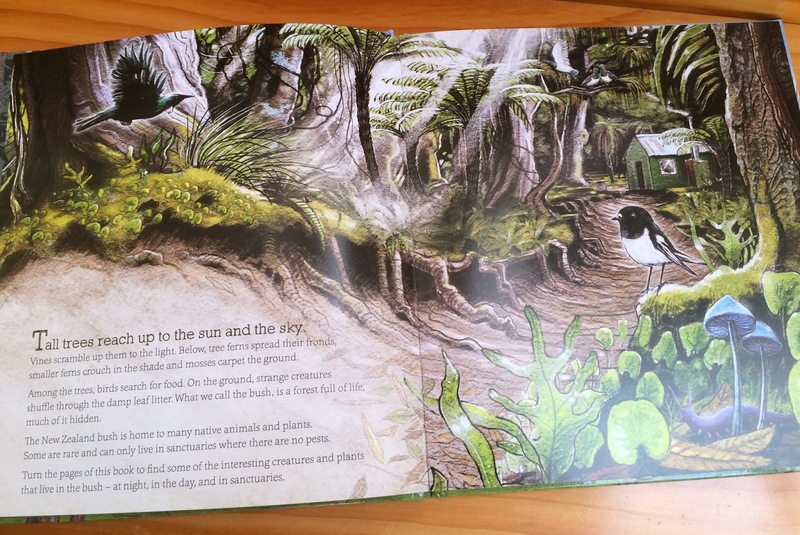 From the delightful hen and chicken ferns to the mysterious, membrane-covered puriri caterpillar holes found in certain tree trunks. 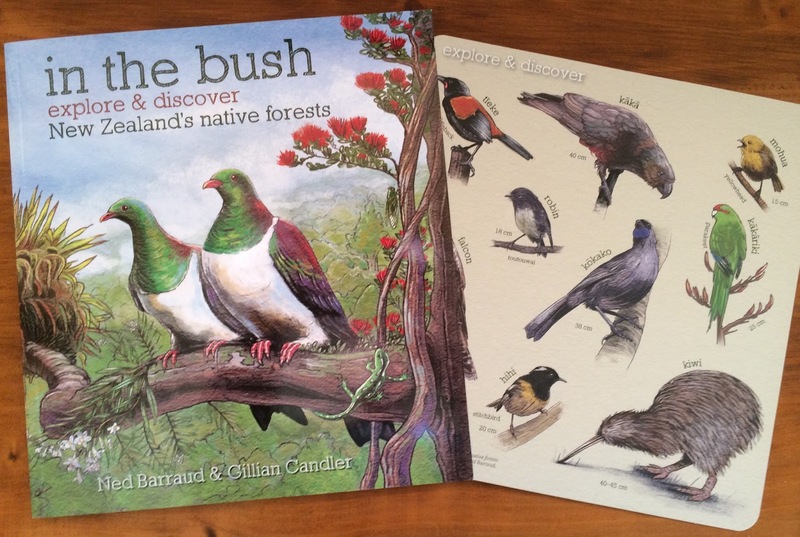 I hope the book will encourage children to get up close and touch tree trunks and ferns, as well as to know what to avoid – bush lawyer and onga onga! 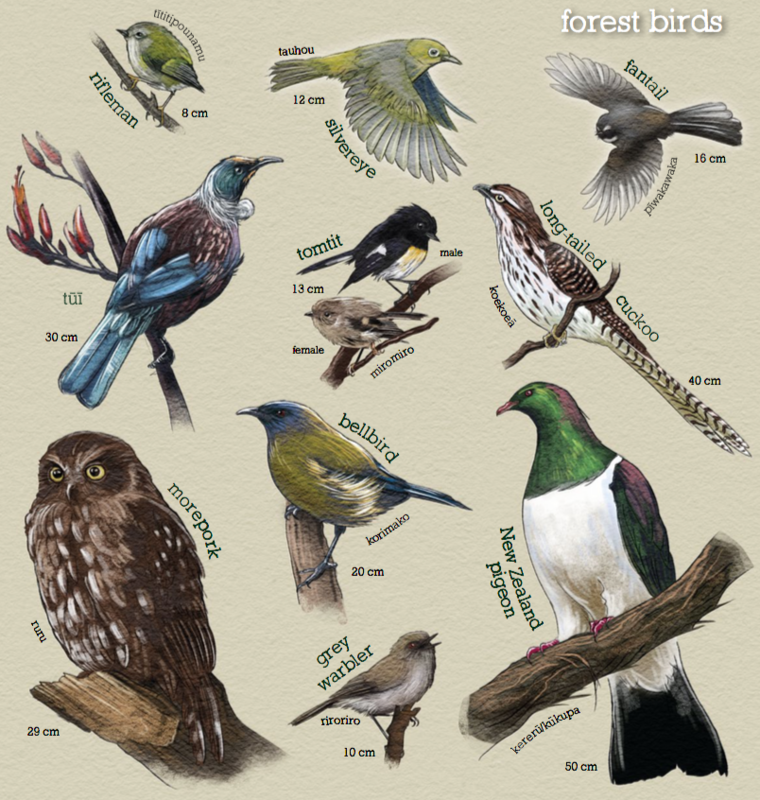 The book wouldn’t be complete without some of the rare and endangered species that can only be seen in bush sanctuaries. Like the other scenes in the book, our sanctuary is one we’ve made up to suit the animals we wanted to show. 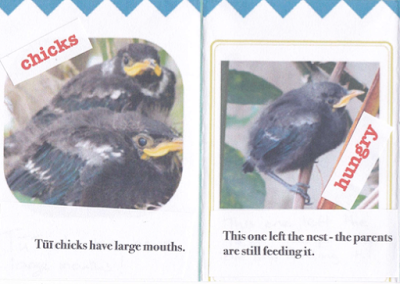 I’m not sure there is any mainland sanctuary that has all of tieke, hihi, kokako, tuatara, robins and kaka. It was a pleasure to work with illustrator Ned Barraud again and see the images unfold. 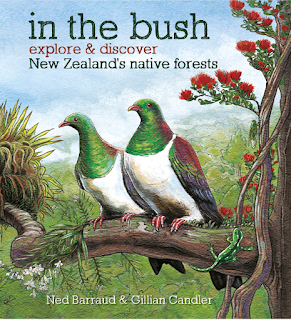 He’s captured the look and feel of the bush, from the magic night-time scene to the mossy filtered sunlight peculiar to beech forests. 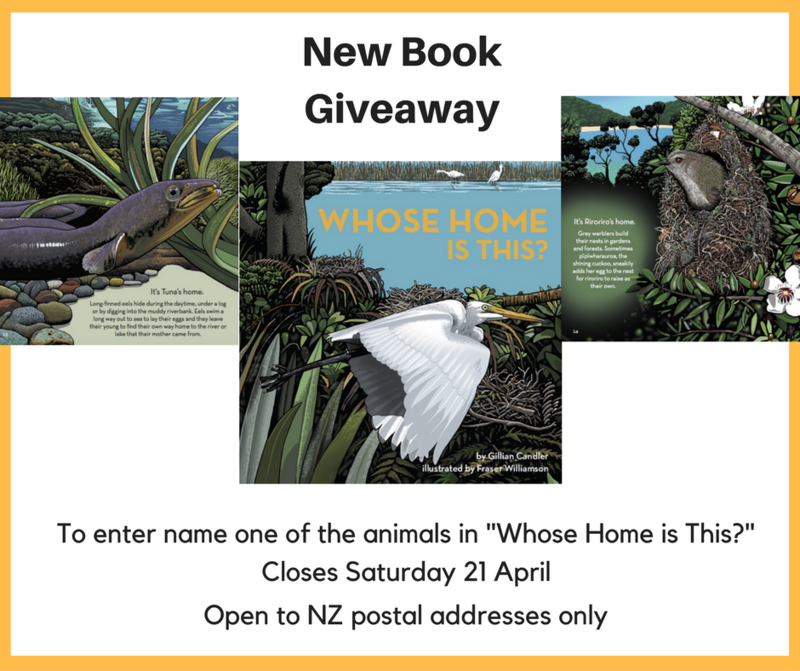 Publishers Potton and Burton have added a pull out laminated card in the back of the book, dedicated to native birds, this will be handy when you are off to the bush with children to take part in the Great Kereru Count (19-27 September). Perhaps they’ll spot other birds too. 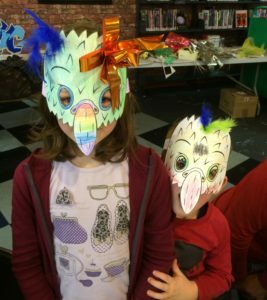 Watch this blog or Facebook for book events closer to Christmas. Book launch last year at the Children’s Bookshop. 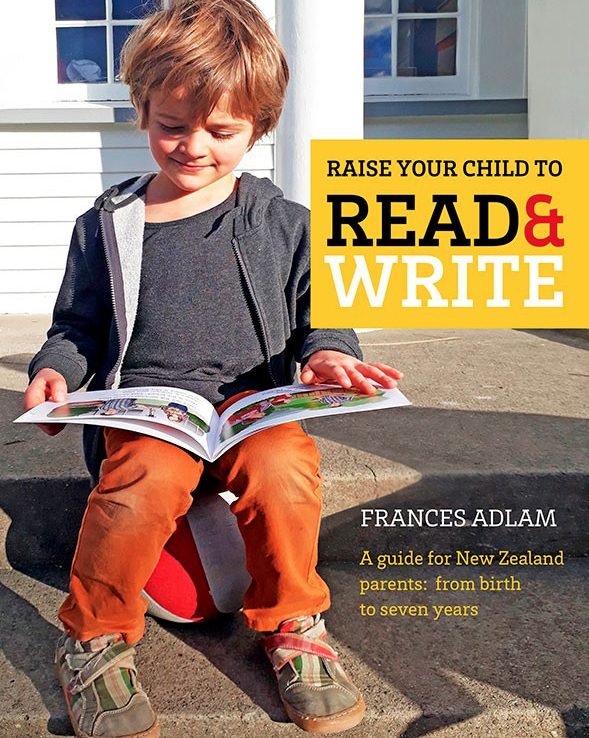 Read my tips about science writing for children in the latest edition (Winter 2015) of The New Zealand Author. 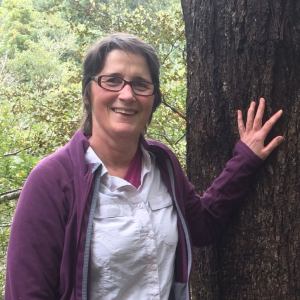 In Awakening Curiosity: writing science for children I discuss 4 science education research-based principles that I apply to my writing and 2 tips for writers of non-fiction from my publishing experience. It’s okay to read a book just the way it’s written cover to cover! On the second (third or fourth!) read, or the first if the child needs a bit of encouragement to stick with a book, get them to look a bit closer at the pictures and talk about what you’re reading. 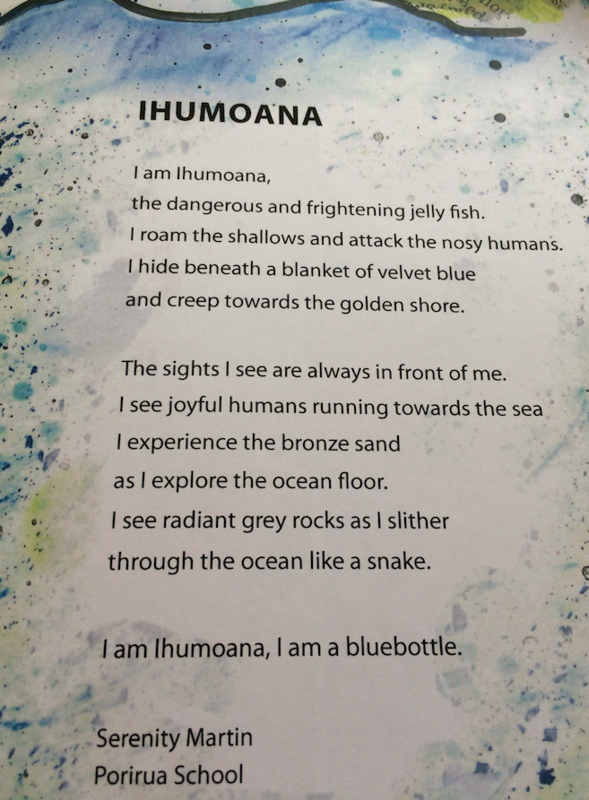 It’s great to get them showing you things, “where is the octopus?” Also ask open questions, ones that don’t have right or wrong answers “What would it be like to be swimming through this reef?”. 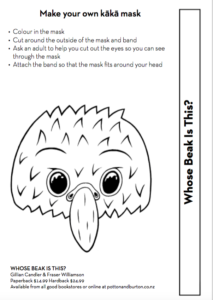 Follow up reading the book to find out more about something that interested them, see ideas blog below for how you might do this. 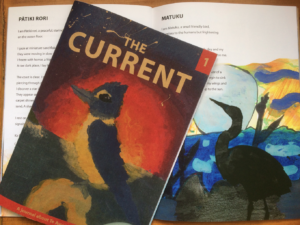 This year the School Library Curriculum Service is controversially coming to an end, replaced by loans to schools of general high-interest reading collections. 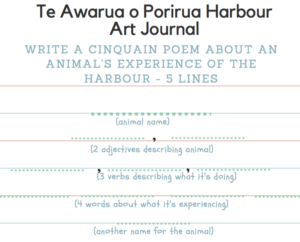 Teachers and students are to go online to access all they might need to support the curriculum. At first glance that might seem reasonable, after all we are turning to online sources for information more and more – ‘googling’ has become a verb – it’s what we do when we want to answer a query quickly. 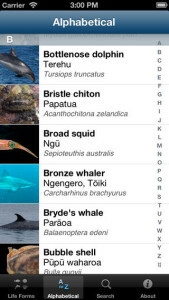 Searching multiple sites can help us build up considerable knowledge on a particular topic, getting contrasting views and up-to-date research. And yet despite this trend I persist in writing non-fiction books for children (those very books that are to be no longer delivered as part of a curriculum service, although hopefully still included in the ‘high-interest’ collection and considered a ‘must’ for school collections). I write books for two reasons. First, this is still the only viable commercial model open to most authors. 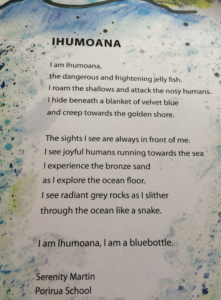 But more importantly, because the form of a book allows for the development of an idea, to take the children on a journey through the beach habitat, the garden environment or under the ocean. 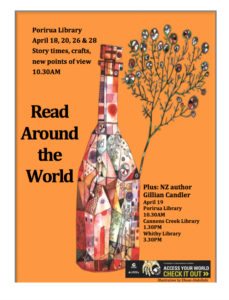 NZ Children’s book judge Annemarie Florian describes books as Mindfood “something substantial to chew on and digest” – I wonder how many digital resources meet this criteria? 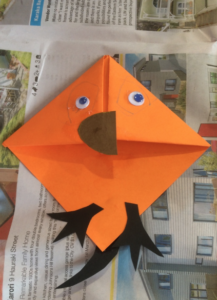 In my next blogs I’ll be addressing the assumption that there are enough digital resources that can meet children’s curriculum needs, and looking at what it takes for a digital resource to be truly substantial enough to chew on. If, for a moment, we assume that digital resources exist in the same quantity and quality as children’s non-fiction books, there is the issue of equality to consider. 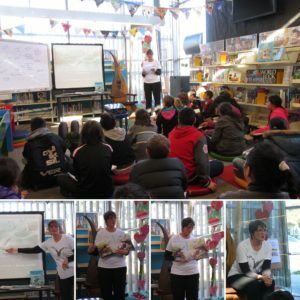 The School Library Association SLANZA have raised the problem of access to digital resources for different schools – rural schools, low decile schools. Add to this the problem of what access students have in the home. 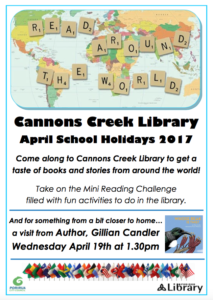 A library book can be sent home for parents and children to read together – sending home a list of websites or links relies on equality of technology in the home. Schools can be forgiven for feeling they’ve had the rug pulled out from beneath them. Knowing what services School Library Services provided, schools could budget (and most did) to build collections aimed at high-interest, reading engagement, because special curriculum requirements could be met through the curriculum service. Now they must reconsider their collections and budgets. An extraordinary newspaper headline this week, caused me to choke on my muesli, and no doubt a few coffee cups were spilled in cafes around the capital as readers took in the implications of the story. Picture Books Hurt Reading – has created a commotion in children’s bookshops, schools, libraries and families. 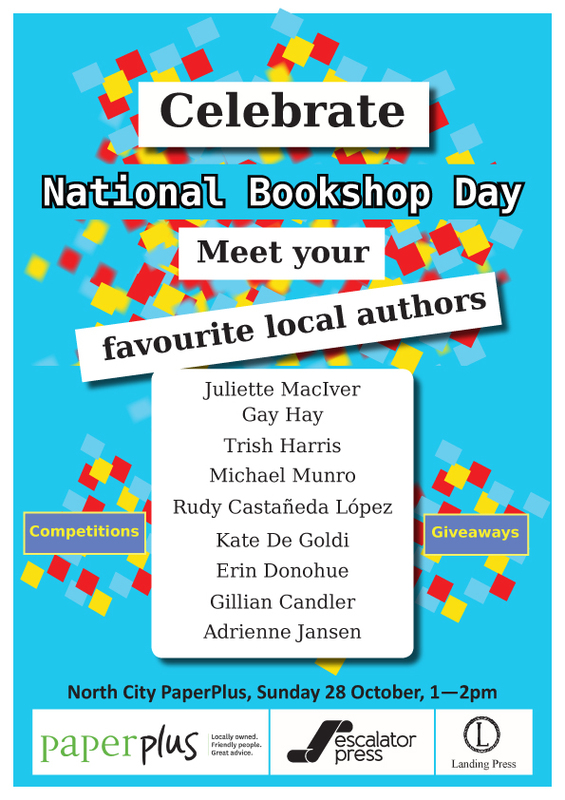 After all, we all have our favourite picture books. As I write this, dozens of people are casting votes for Hairy Maclary from Donaldson’s Diary by Lynley Dodd to be named a Great Kiwi Classic. 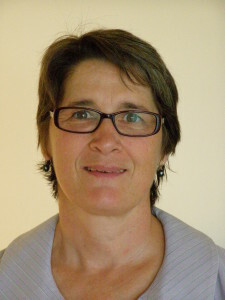 According to the article the linguist who has done the research found ‘picture books stunted imagination’. 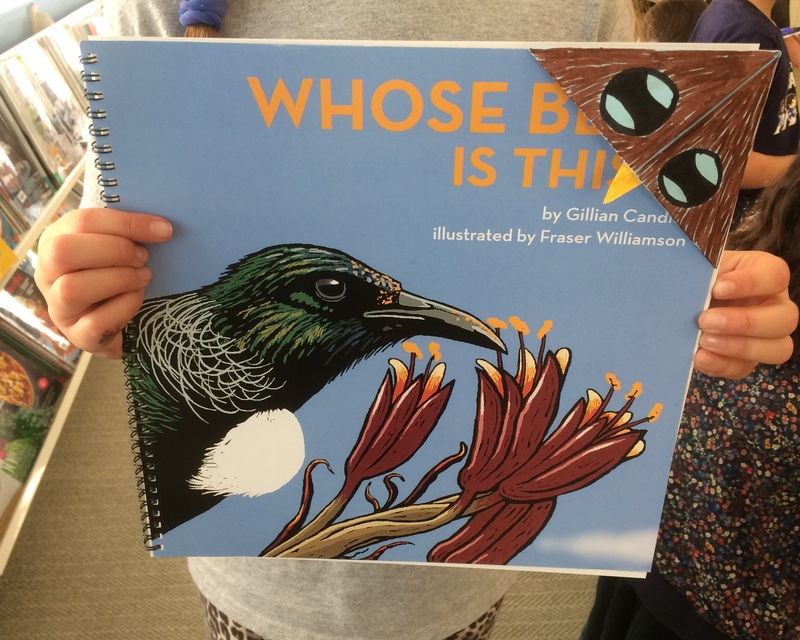 That’ll be news to children’s book fans, whose imagination has been stretched and kindled by beautiful and intriguing illustrations in fiction and non-fiction. In fact we’d be hard put to put together a non-fiction book for early readers that didn’t have pictures. Can you conceive of a book for young children about the ocean without illustrations of dolphins, whales, octopus etc? I can only hope that the headline and the quotes are out of context. Picture books bring children to reading by engaging and delighting them with images that complement and elaborate on stories, and informing them and arousing their curiosity about the world. 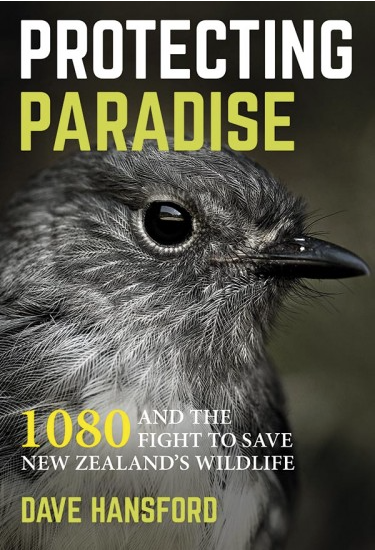 Before the summer holiday, I’d stocked up on a pile of non-fiction books from Craig Potton Publishing. My pick of these for an informative and entertaining read is: Tramping – a New Zealand history by Shaun Barnett and Chris Maclean. There is the pleasure of course of dipping in to a bookshop or two while on holiday. I first visited Alice and Gertrude bookstore and cafe in Sydney and only wished it hadn’t been quite so crowded and that I’d had more time. 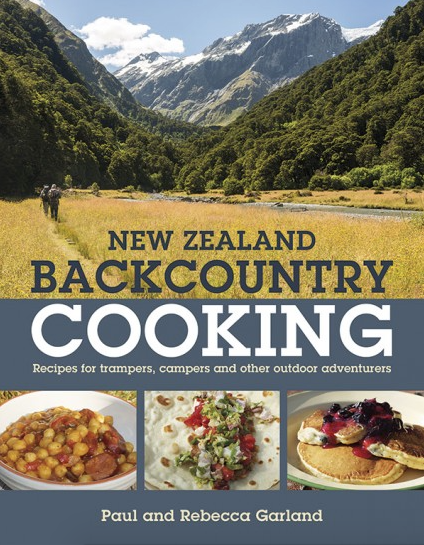 I’ll be back next time I’m there to enjoy the combination of good food and browsing a wide range of second hand books. Later in Bowral, NSW I was stopped in my tracks by the sight of the beautifully presented Latin for Birdwatchers in a shop window. It lured me into the shop, and to make a purchase. 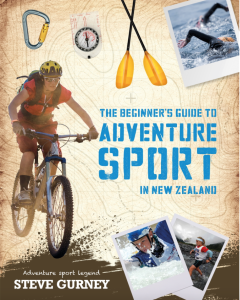 I think this is just a perfect gift book. 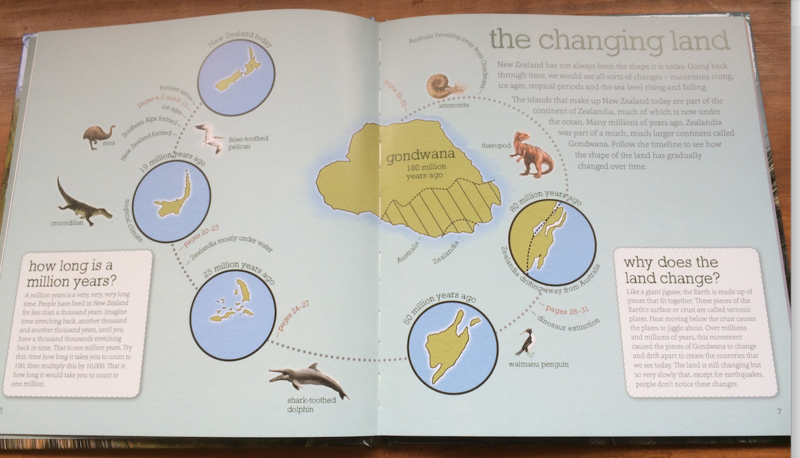 I was really pleased to find Mapping our World here, which sits on the coffee table of my hosts in Sydney. 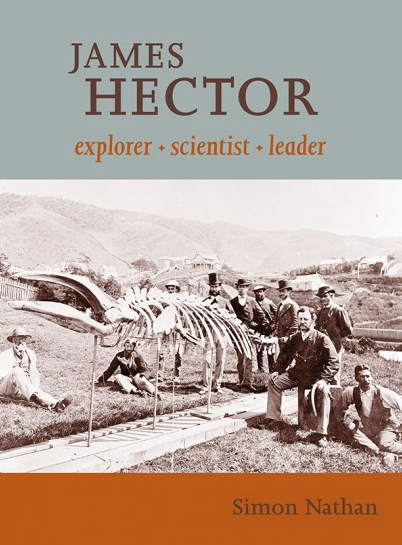 I couldn’t leave Australia without my own copy and only wish I’d been in Canberra for the exhibition that it’s based on.